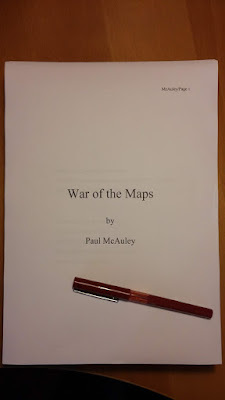 Went out yesterday and bought a pack of paper, and printed off the second draft of the new novel, ready for rereading and editing. (I'll probably get through two of those red pens.) 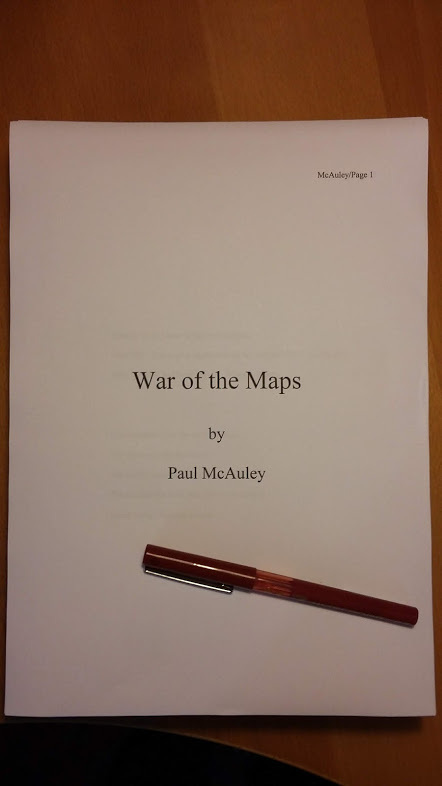 It's due to be delivered to the publishers early next year, and although I don't yet have a publication date I imagine it will be some time in the first quarter of 2020. It's set in the far future on a crumbling macrostructure (aka Big Dumb Object) with the surface area of 400,000 Earths, so there's some worldbuilding involved. Most of it trying to make sense of everything the protagonist encounters as he travels further than he expected, rather than a formal interrogation of the world and its peoples -- hopefully the process of discovery avoids the kind of over-thought underpinnings that are too often visible in fictions set on imaginary worlds, gives plenty of space for serendipity and bricolage, and helps keep me interested. Maybe the reader, too.